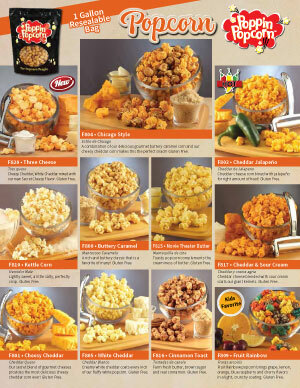 Single page brochure is an easy stand-alone brochure that offers 11 delicious gourmet flavors of popcorn. Poppin Popcorn will warehouse and shipped directly from our factory to you or your customers. Contains heat sensitive product.